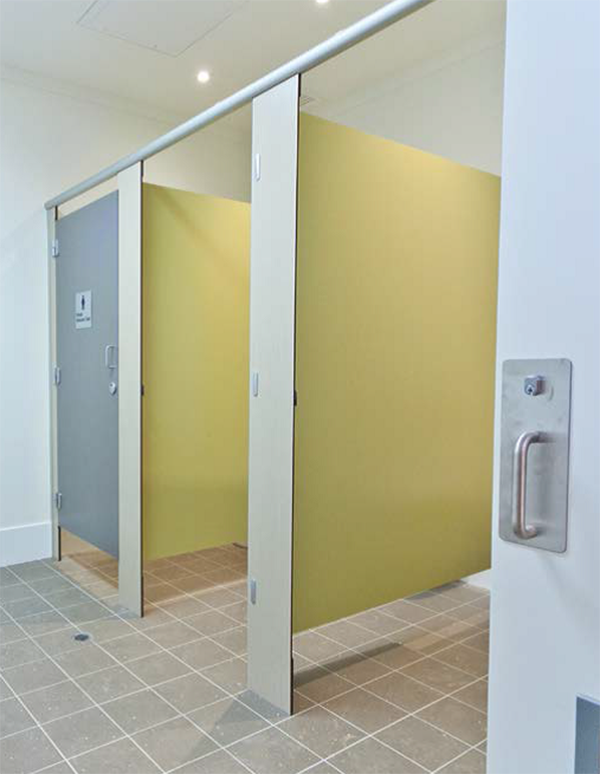 High usage bathroom areas can also be tasteful, offer enhanced privacy and provide architects with a spectrum of design choices. Cubispec's Merge Floor Mounted & Overhead Braced system offers you the opportunity to combine durability with style, while meeting even the most demanding client brief. 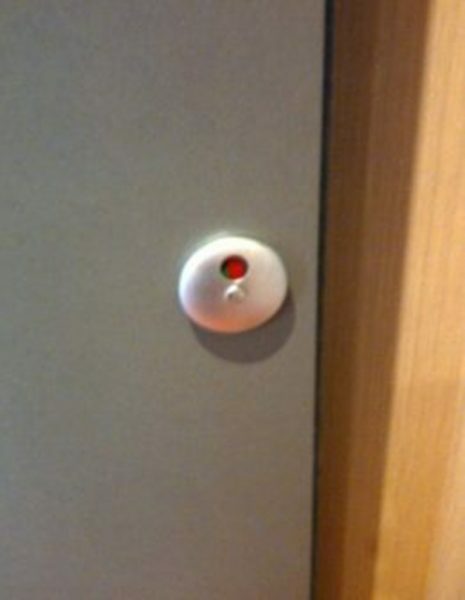 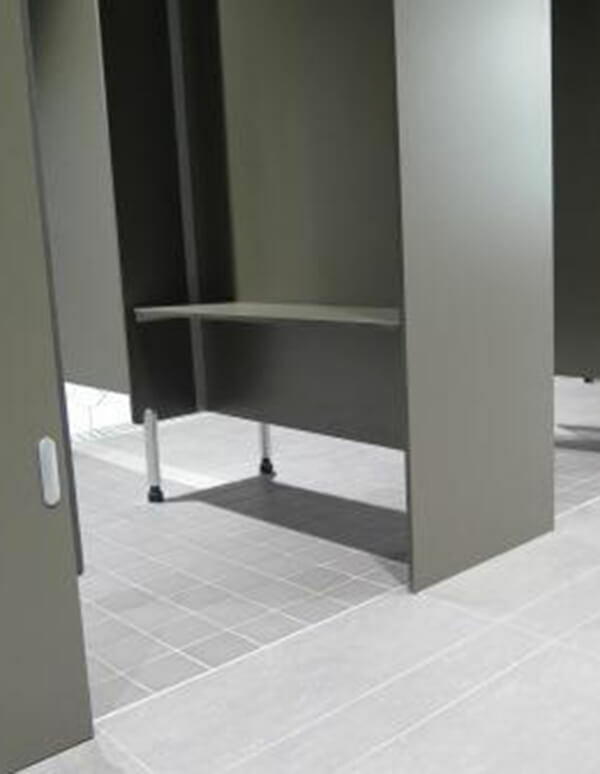 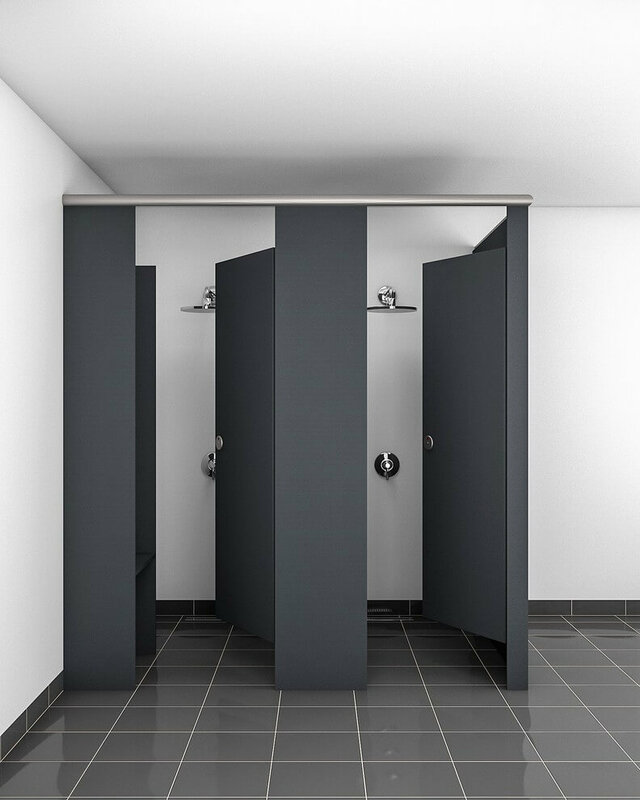 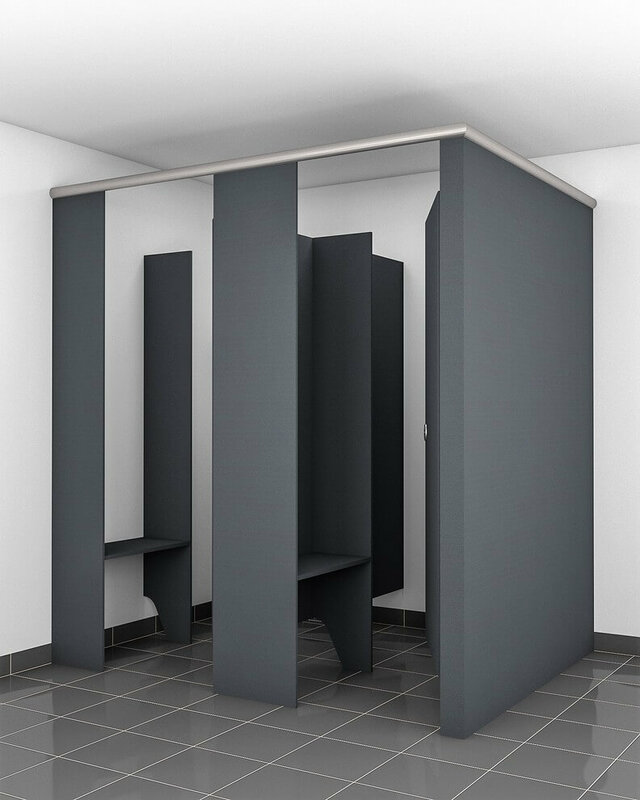 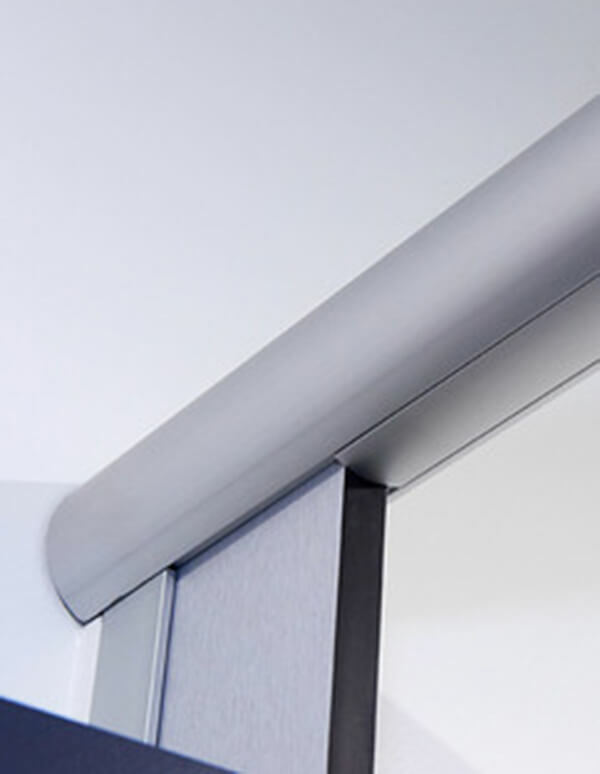 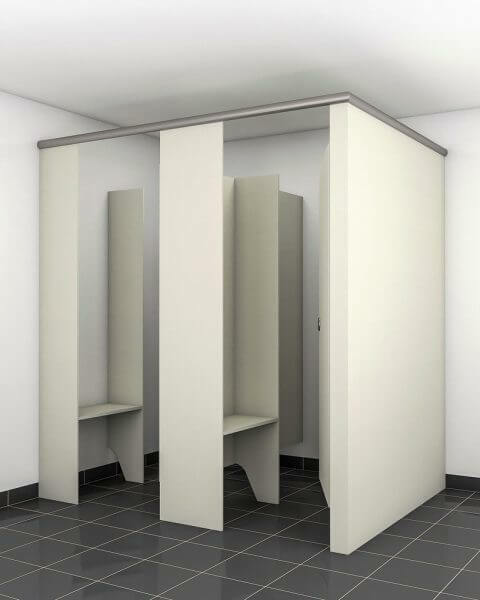 Available in a wide range of colours, materials and finishes for both shower and toilet cubicle construction, the Merge series is floor mounted for maximum strength, and features tough anodized aluminium head rail and channels for heavy duty wearability, and an optional gapless rebate door for improved privacy. 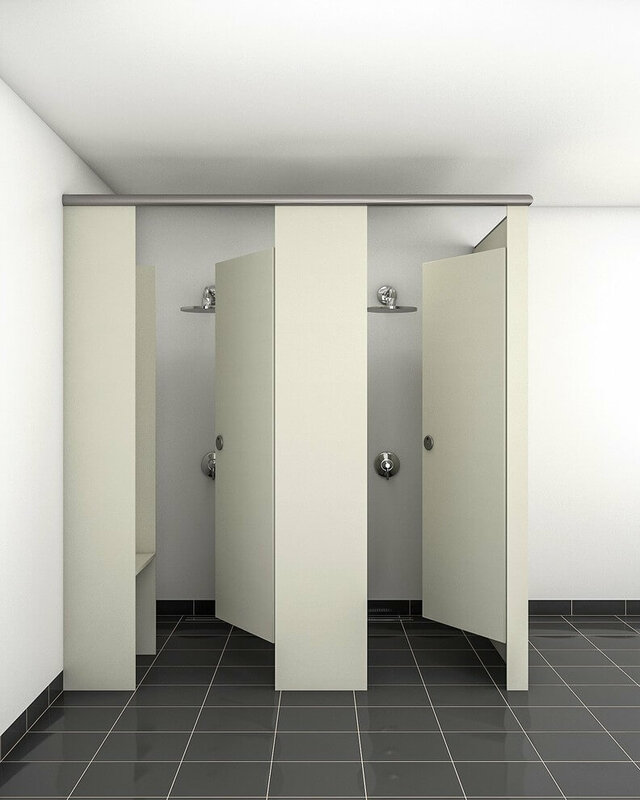 Shop drawings provided on all projects for client sign off.